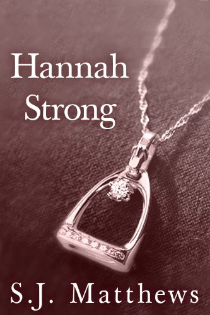 In Hannah Strong by S.J. Matthews, Hannah’s marriage is crumbling. She sits alone with the marriage therapist waiting once again for her husband to show and knowing she can’t do this much longer. She has plans to attend the 1984 Olympics in Los Angeles with her father, a man who fell into a bottle when his wife died, and the only thing she’s sure of is that it’s imperative that they make the plane. Is Hannah’s marriage truly over? Will she decide not to go to L.A.? This short story is the prelude to Matthew’s upcoming novel Miracle at Santa Anita. A preview of the novel is available at the end of Hannah Strong.